After a brief hiatus in the ASAD series, today we present you with the first song a day from within the subcontinent, Bullah Ki Jaana, a Sufi song written by one of the greatest Sufi poets who ever lived, Baba Bulleh Shah. While Bulleh Shah’s philosophical poems have found their way into popular music a lot of times, a prominent one being Chaiyya Chaiyya from Dil Se, Bullah Ki Jaana remains one of his most eminent compositions. Bulleh Shah’s compositions have always been known for their simplicity and profundity, a prime reason for their immense popularity among sufi enthusiasts, and there couldn’t be a better exemplification of these qualities than Bullah Ki Jaana. In this poem he reflects upon the origin of mankind by questioning his own identity. And the translation of the lyrics which include mention of mosques, the Vedas, Moses etc. 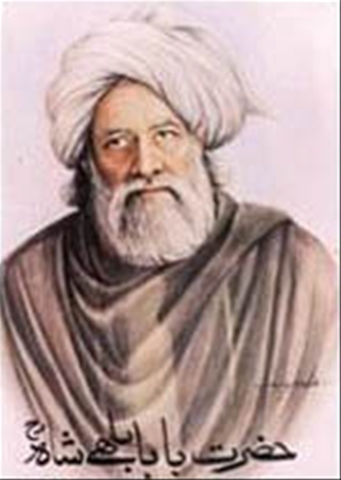 provide testimony to the fact that Bulleh Shah’s influences pan across religions and faiths. Popular cover versions of Bullah Ki Jaana there have been three, those of Junoon, the Wadali Brothers and Rabbi Shergill with my preference increasing in that order. To be honest Junoon’s version of Bulla Ki Jaana, which came out in 1999 as part of their most acclaimed album Parvaaz, has always struck me as less impressive than many of their other compositions. On the other hand the Wadali brothers did a beautiful classical version of the song (in raag Shivranjani) as part of their album Aa Mil Yaar (Call of the Beloved). But the credit for Bulla Ki Jaana attaining the scale of recognition that it has in India, goes to the sardar from Delhi named Rabbi Shergill. When Rabbi sat to tune the poem for his debut album Rabbi, influences from his idol Bruce Springsteen kept creeping up, and the result was a brilliant folk-rock fusion version of the song. That combined with a well-shot video meant that Rabbi Shergill became an overnight star and Bulla Ki Jaana was suddenly on everyone’s lips, in spite of being written in a language that not many could understand. It may be true that Rabbi Shergill couldn’t quite capitalise on the success he tasted with his debut album, but if there is one thing that would keep him from going away from people’s minds it would be this masterpiece of his, that has today become the identity of Bulla Ki Jaana for most people at least within India. Here’s wishing once again all our readers a very happy and prosperous Diwali! Enjoy the videos of the three cover versions.